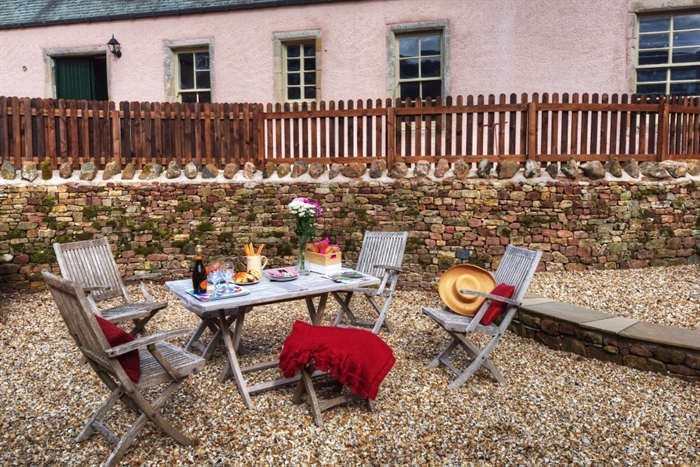 Set off the beaten track on a private country estate, Bramley Cottage sits in a wonderful spot amidst a stunning rural landscape with nothing but the odd passing tractor to interrupt the view. 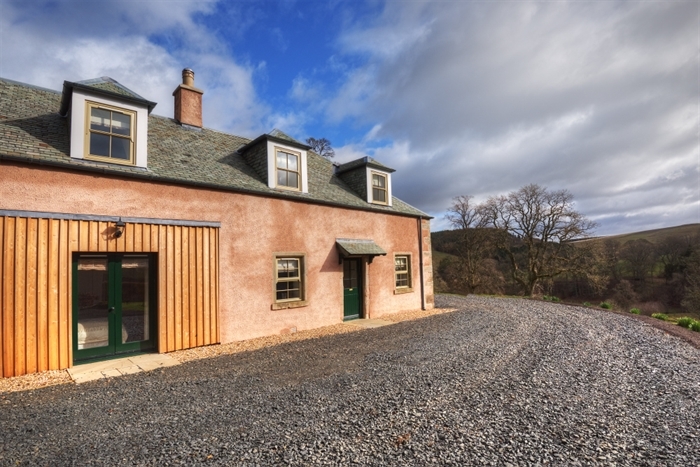 Here guests can enjoy leisurely walks from the doorstep, explore the picturesque towns and rich history of the Borderlands to the north, or enjoy the fantastic woodland trails and brilliant dark skies of the Kielder Forest Park to the south. 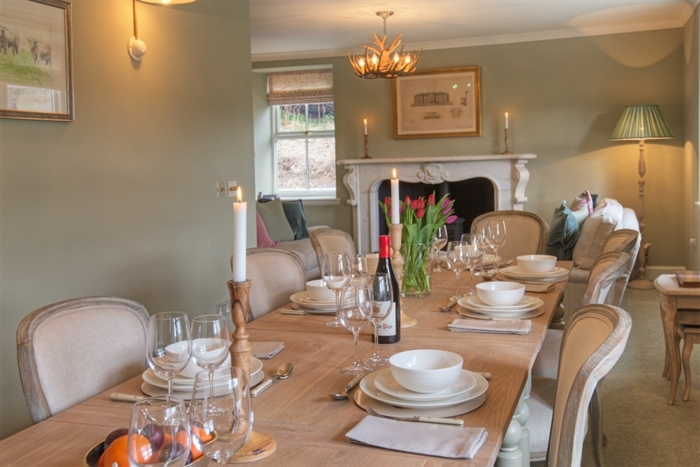 With four double bedrooms (3 en-suite, 2 ground-floor), the cottage offers flexible accommodation for friends and families to retreat, relax, entertain or enjoy the great outdoors. 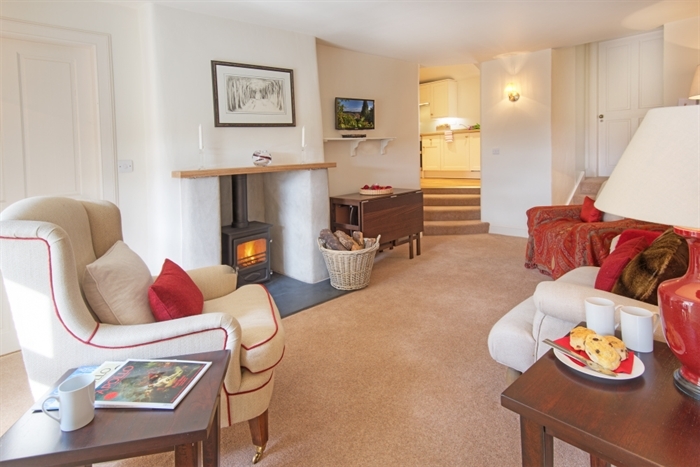 Decorated in a pretty country cottage style, the sitting room is intimate and cosy, the bedrooms crisp and fresh, while a modern galley kitchen provides all the essentials for holiday living. 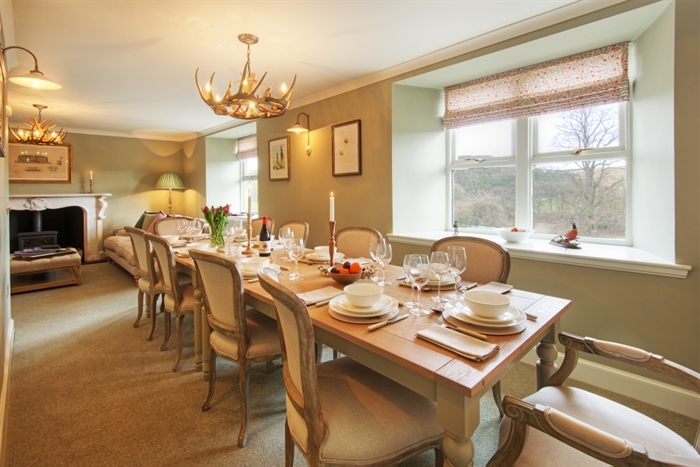 A separate dining room/sitting room with wood burning stove is furnished in a superb shooting lodge style and is a wonderful space for get-togethers or more formal entertaining, with the option of privately catered services for that special celebration, shooting or fishing parties or perhaps just a little holiday pampering. 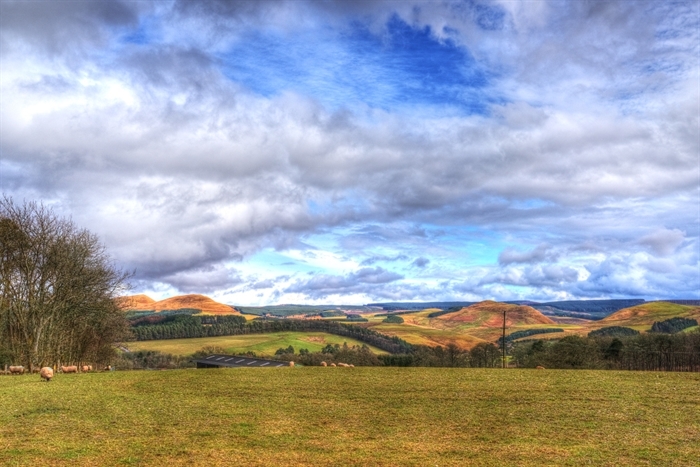 The property sits on the Edgerston Estate just south of Jedburgh and its position will appeal to peaceful relaxers, walkers, cyclists and country sports enthusiasts who will be able to take full advantage of its position in acres of open countryside. 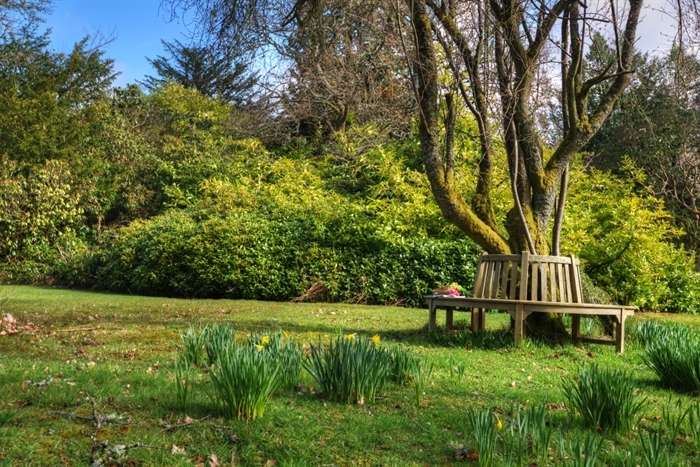 Dating right back to 1448, Edgerston has a rich history, playing a prominent part in Reiver skirmishes in early days and then notable literary connections with some of the most distinguished writers of the time including Sir Walter Scott, John Buchan and J M Barrie. 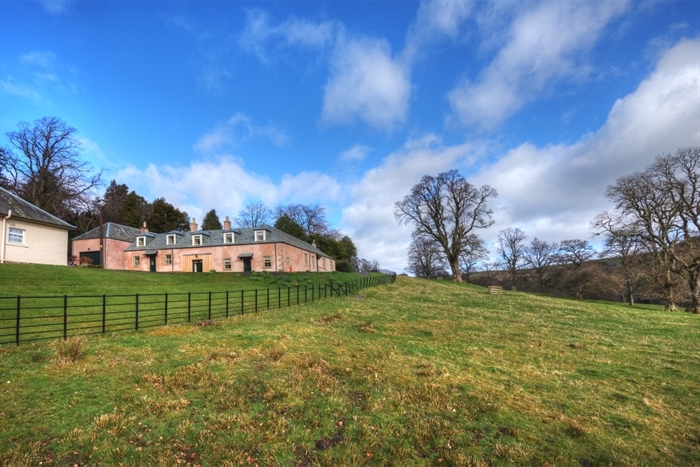 Today it operates as a private shooting estate and working farm. Sitting room with the front door of the property leading directly into the sitting room. 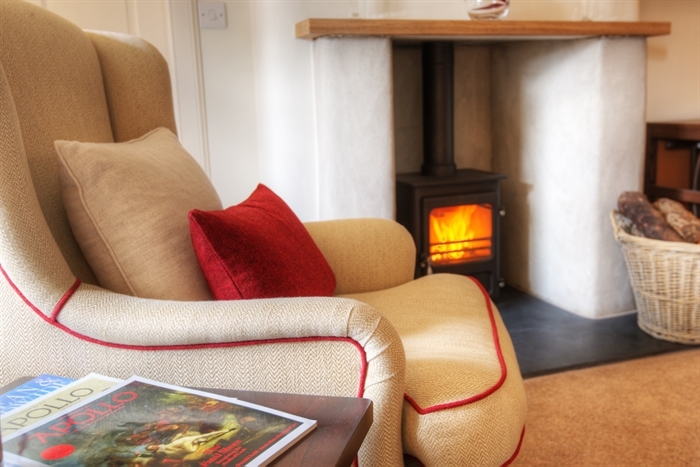 Sofas and armchairs set around a cosy wood burning stove. Additional beanbags provide extra seating for children. 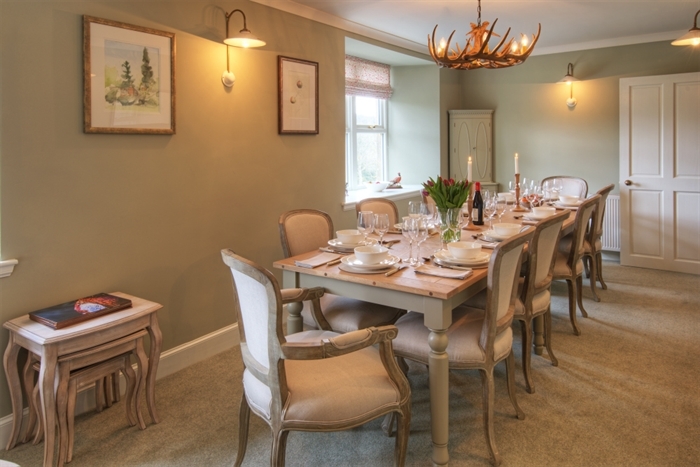 There is a drop leaf dining table with seating for six and a wall mounted Freesat TV. 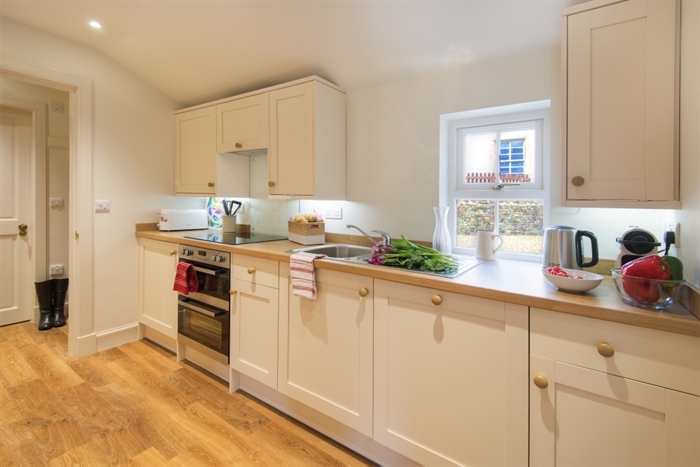 Kitchen - four steps up from the sitting room leads to the galley kitchen with electric grill and oven, ceramic hob, integrated dishwasher, Nespresso coffee maker (pod type) and integrated fridge with ice compartment (no freezer). 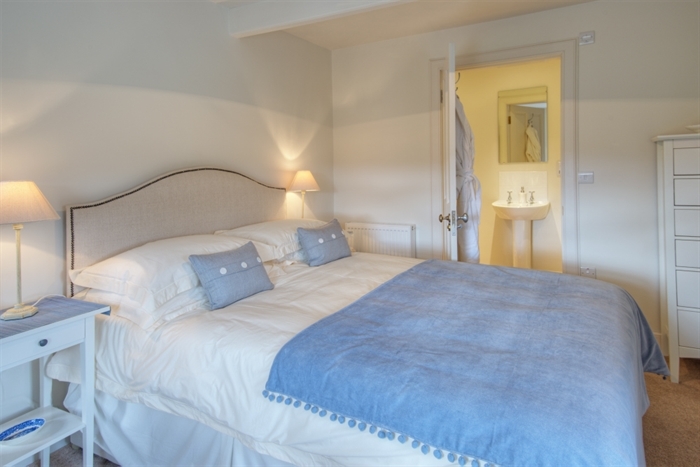 Please note there is no washing machine in the property, however washing facilities are available in the building opposite the cottage. 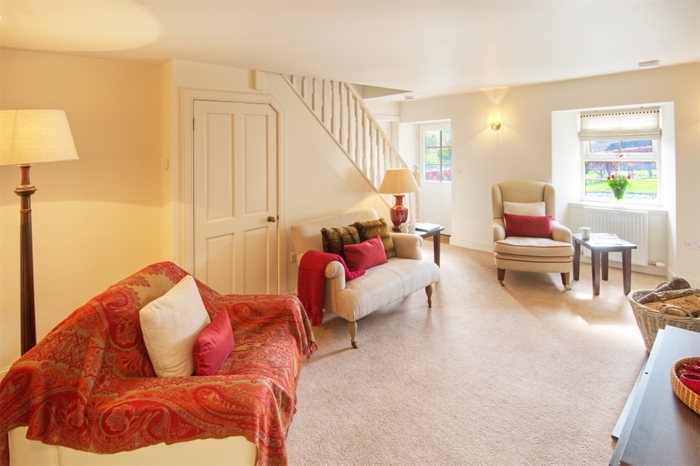 Dining room/sitting room - steps from the sitting room leads to a side hall and formal dining room seating 10. 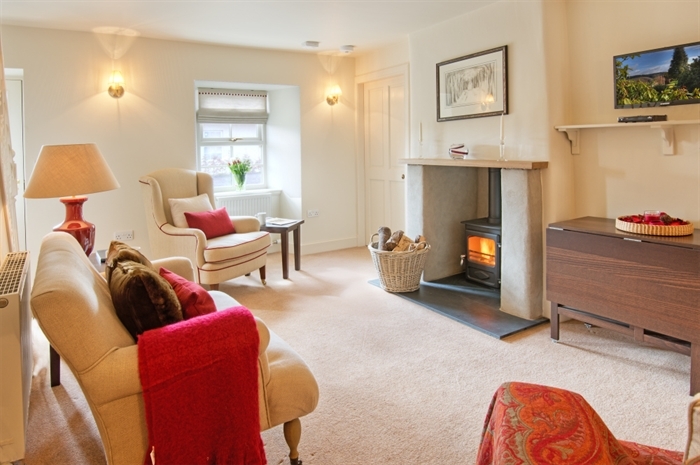 Includes two large sofas set around a wood burning stove. 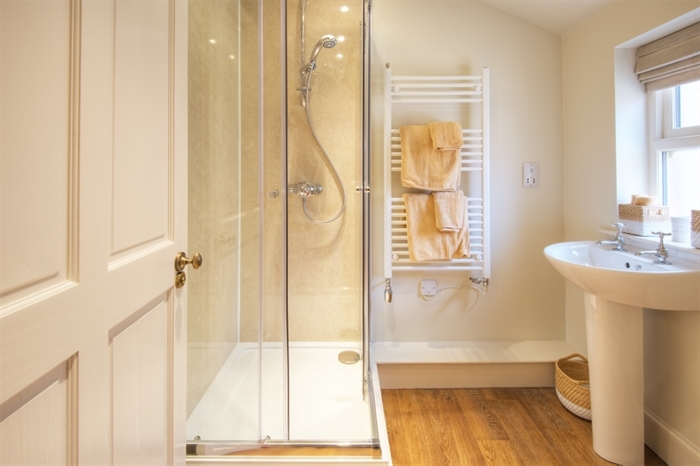 Shower room - the kitchen leads through to a rear door to the courtyard and ground floor shower room with WC, basin, heated towel rail and shaving point. En-suite shower room with WC, basin, heated towel rail and shaving point. Bedroom two with king size bed and pretty tweed accents, chest of drawers and two bedside tables. 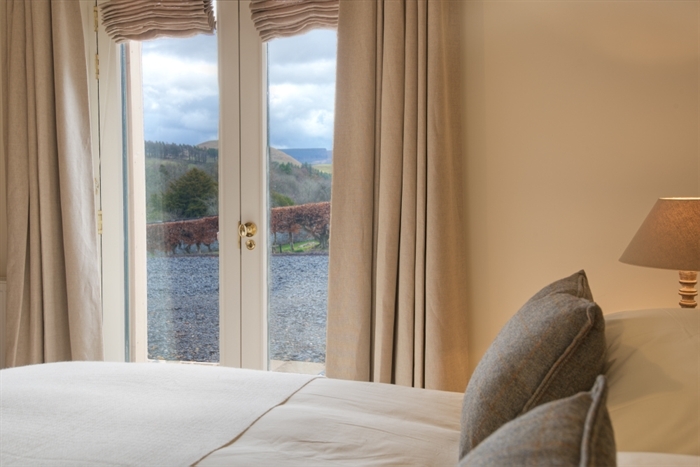 On sunny days French doors open out onto the front aspect of the property and enjoy scenic views across the surrounding countryside. 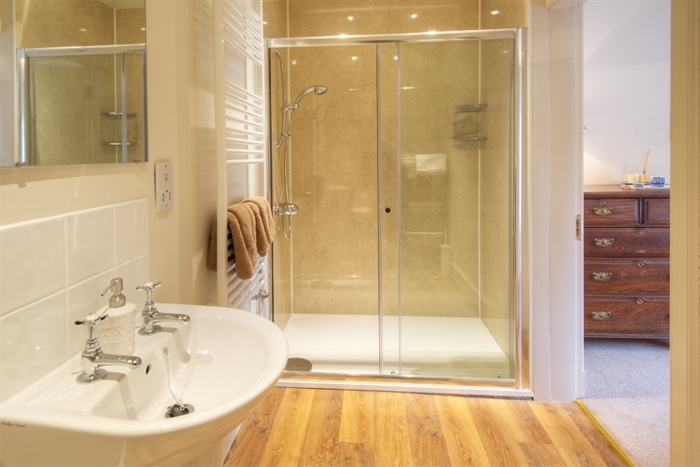 En-suite shower room, with WC, basin, and heated towel rail. Bedroom three with coombed ceilings, king size bed, two bedside cabinets, large cupboard for storage and hanging rail. 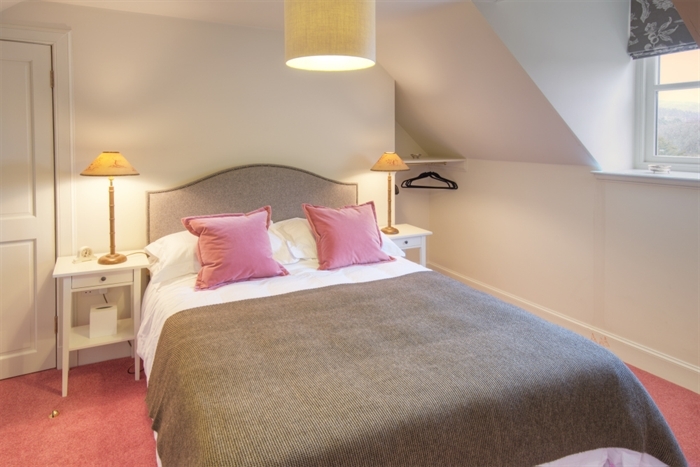 Bedroom four with coombed ceilings, king size bed, two bedside cabinets, large cupboard for storage and hanging rail. 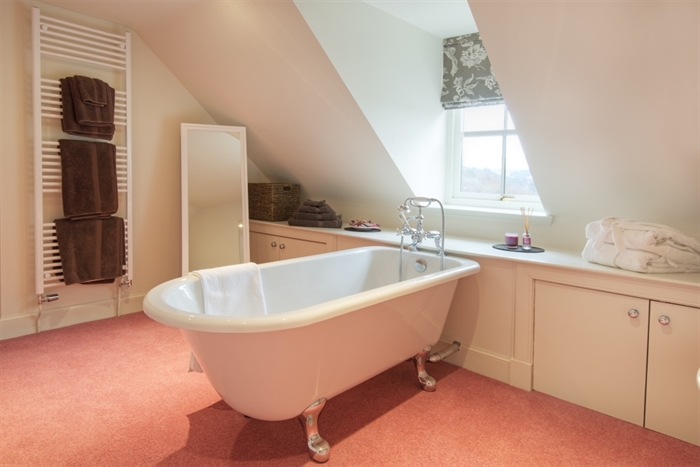 En-suite bathroom with roll top bath and handheld shower, WC, heated towel rail and shaving point. 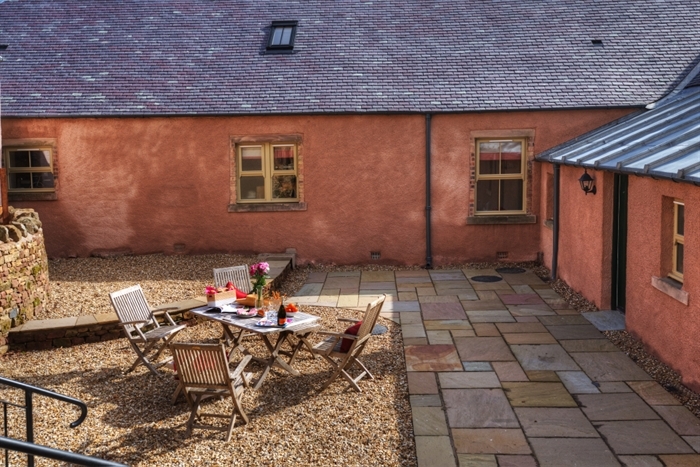 There is a rear courtyard area which is shared with Braeburn Cottage. Outdoor patio furniture is supplied. 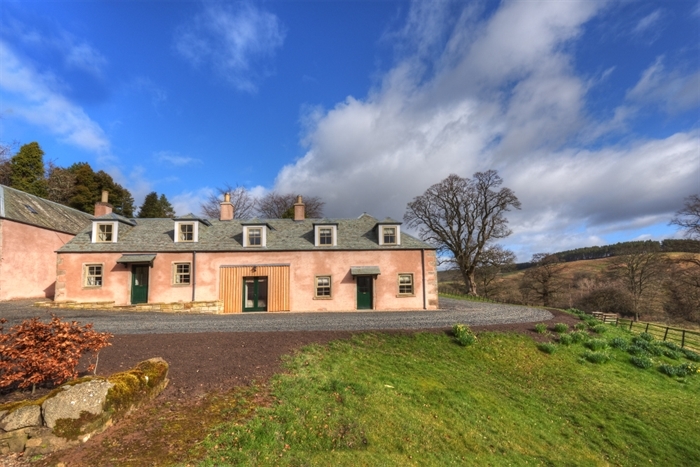 Guests are welcome to walk the wider grounds of the estate but access is restricted around the main house. 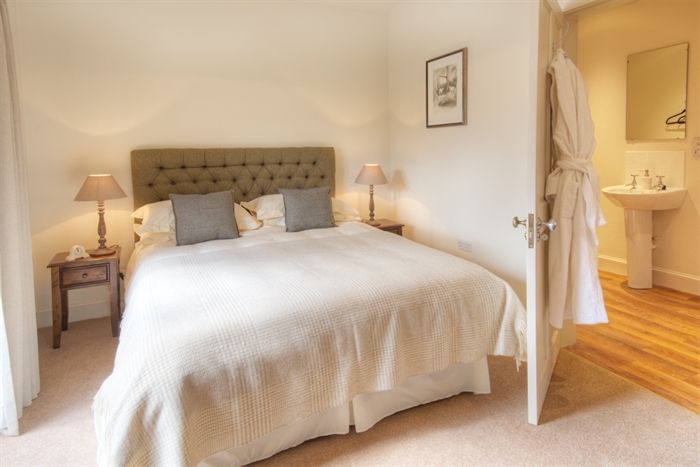 Bed linen and towels included along with guest toiletries. Bathrobes supplied. Hairdryer supplied. The property benefits from Wi-Fi but please note that this can be slow and occasionally intermittent. The mobile reception is patchy on most networks. A landline is provided for reasonable use by guests. 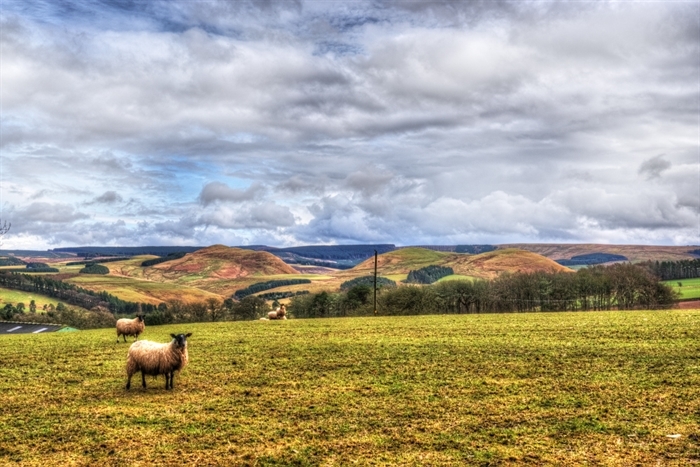 Edgerston is a working farm and shooting estate and as such there will be farm and estate traffic around the grounds. During shooting season, on shoot days, walking in certain parts of the estate may be restricted. Please contact us if you have any concerns. 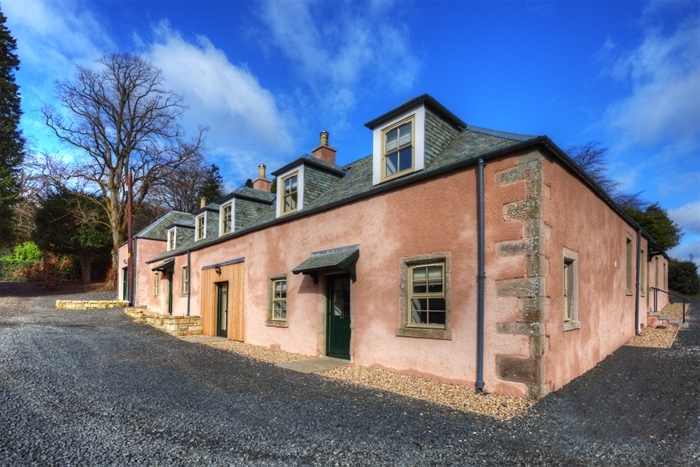 The adjoining cottage, Braeburn Cottage sleeping 4, is also a holiday let. 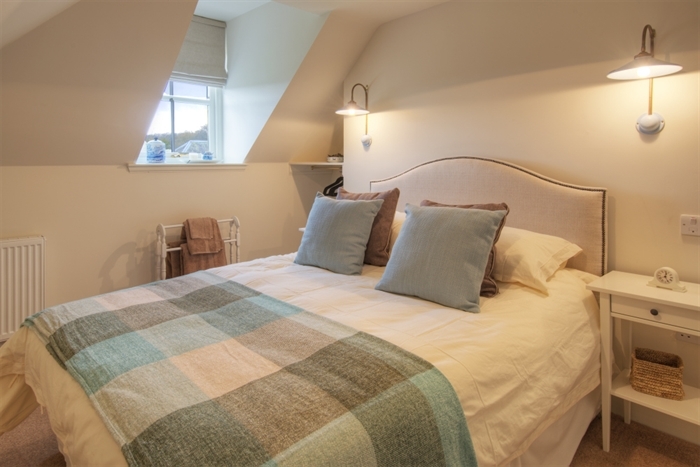 For guests looking to holiday together, Bramley Cottage can be booked alongside Braeburn Cottage sleeping 4. The cottages sit next door to each other.